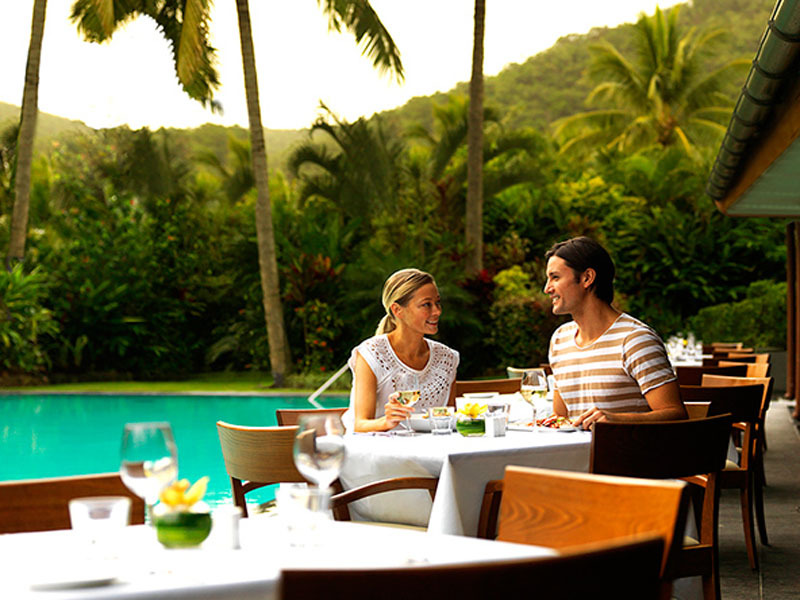 Enjoy incredible views of manicured tropical gardens from your own private balcony when you stay in a Garden View Room at the Reef View Hotel Hamilton Island! Relax inside with refreshing air conditioning, tune into in-house movies on your TV and snack on the delicious treats available in your mini bar. 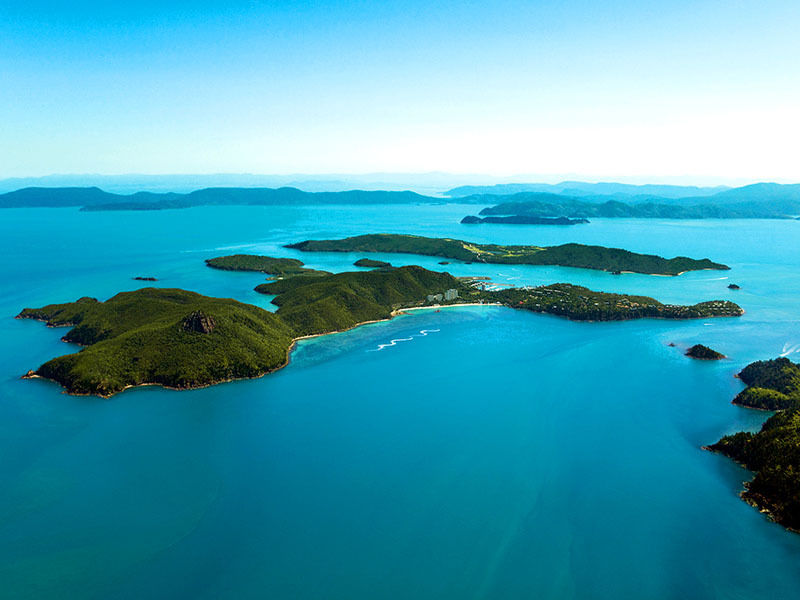 You will never be bored while staying at the Reef View Hotel Hamilton Island with complimentary use of catamarans, paddle skis, windsurfers and snorkeling equipment! 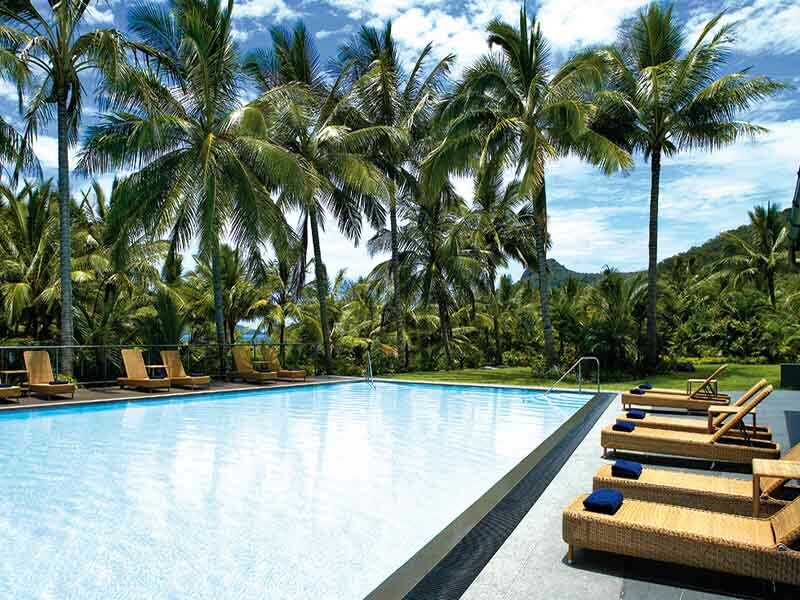 Also enjoy complimentary use of resort facilities including the spa, sauna, tennis court & resort gym! 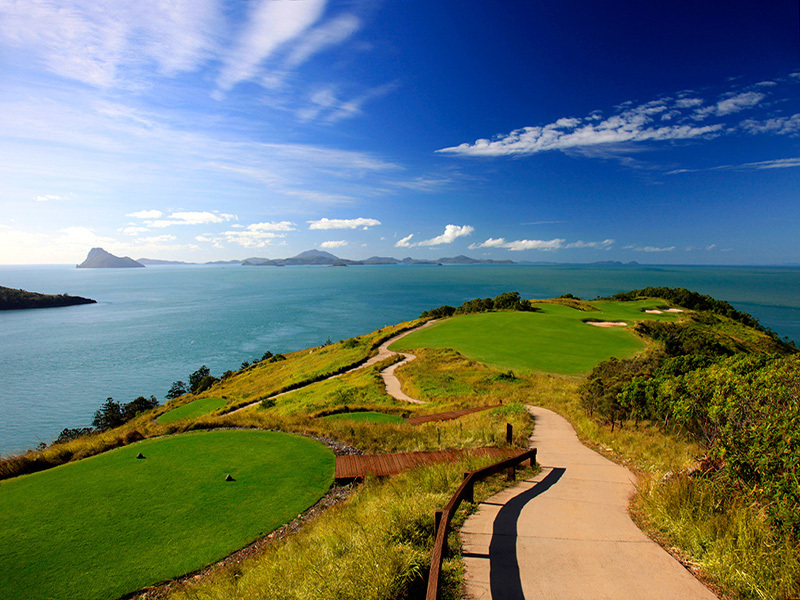 Spend more time enjoying the beauty of Hamilton Island and less worrying about organising a taxi every day! 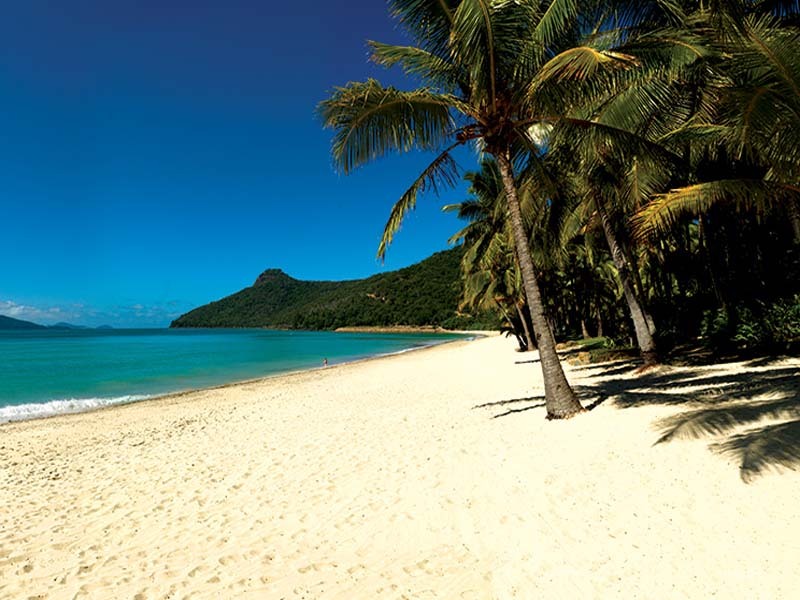 When selecting this My QLD package, you will avoid that stress by being able to get to and from places with unlimited use of the island shuttle service which runs from 7am – 11pm daily. 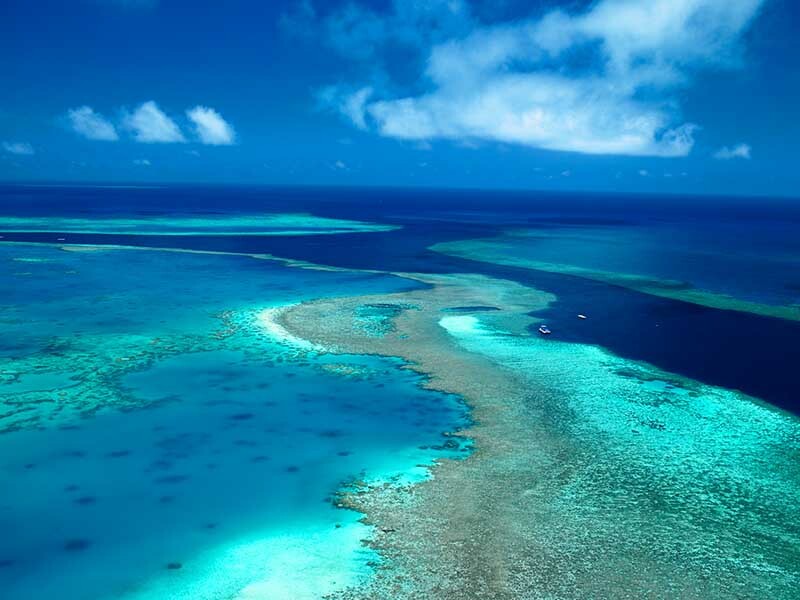 Coral Sea View Room – UPGRADE from only $100 per person! 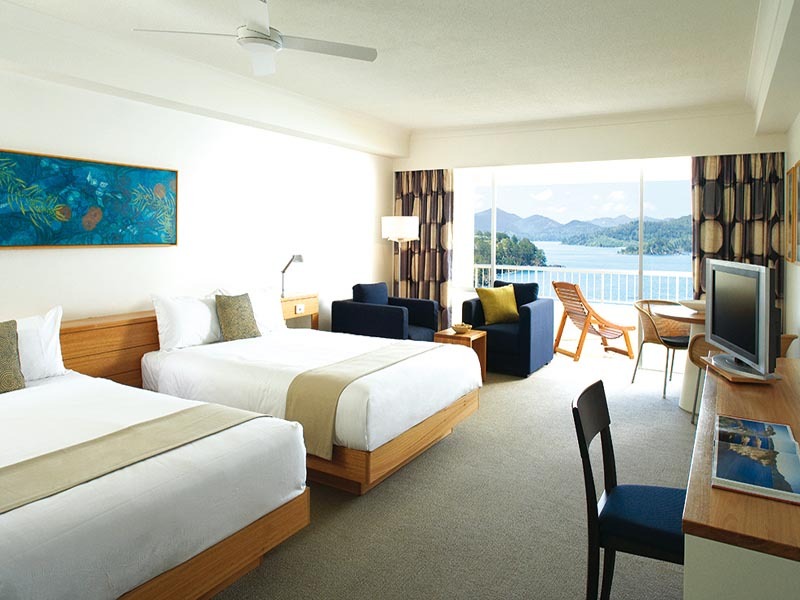 *$50 Resort Credit: This amount is to be credited to the guest’s room account on check-in which can be applied towards all food, beverage and spa treatments at the resort. 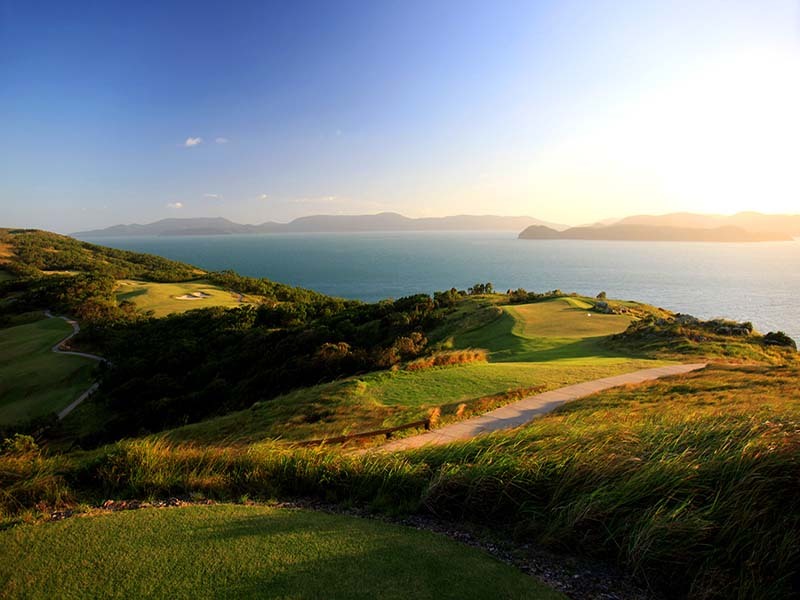 Resort Credit cannot be applied towards external third party service providers e.g. Tours. 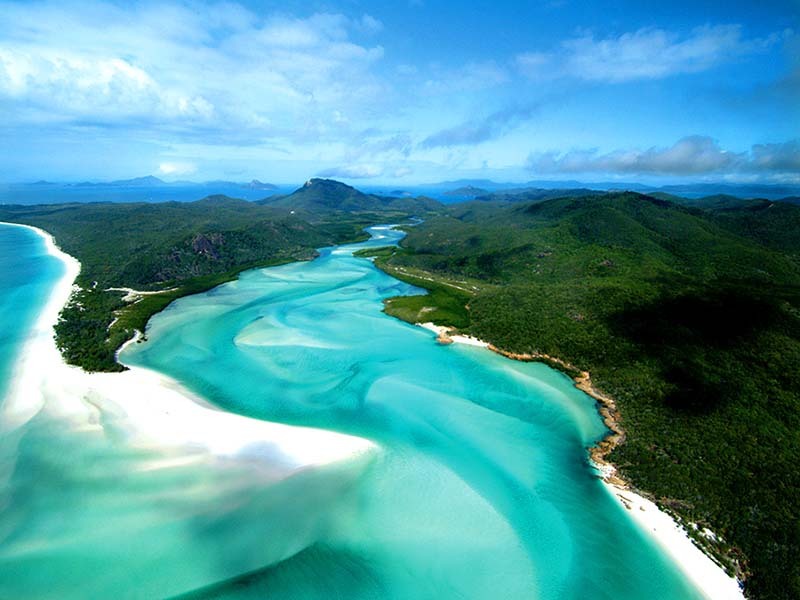 ~Whitehaven Beach Half Day Cruise: Complimentary tea and coffee, Cruise the 74 islands of the Whitsundays, Fully guided cruise with informative commentary, 1 1/2 hours at Whitehaven Beach & Magnificent waters of Cid Harbour. Choose AM or PM tour – please advise your friendly travel consultant which you would prefer upon booking.